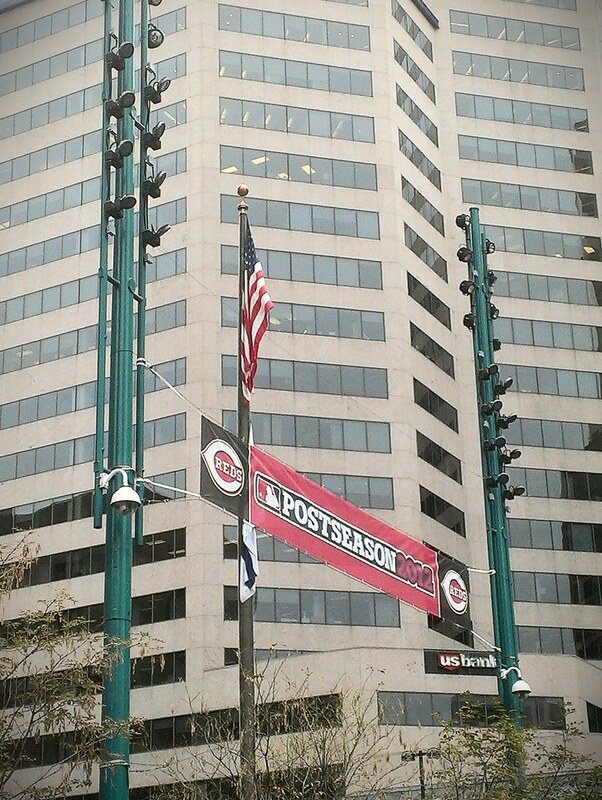 There's a new banner hanging on the Square celebrating the Reds trip to the postseason. Oh. 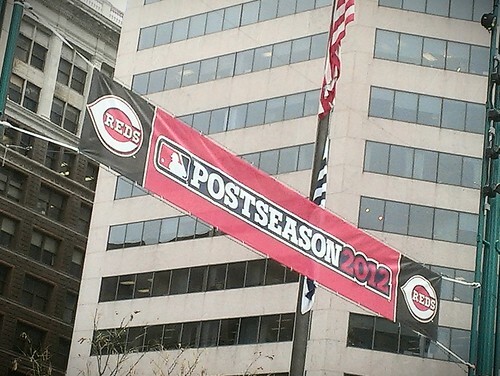 And we got tickets to the first home game for the upcoming Reds NLDS at GABP!